A small town at the bottom of the state of Alabama, Robertsdale is better known to locals as Hub-city, the Dale, R’dale, etc… by any name, this town is a special place, in part because of it’s diversity. Centrally located between the linen white beaches of Gulf Shores AL, the beautiful, vibrant city of Mobile, AL, and a short distance to Pensacola FL; the town of Robertsdale, by stark contrast, is actually a farming town. You have a lot of country life and a lot country folks. It is still an old timey small town; people still wake up and go to the local diner at 6am for breakfast or go the mom and pop restaurant for a lunch of meat and 3 sides. Hometown to such big names as Tim Cook (CEO of Apple), Obie Trotter (NBA basketball player) and Joe Childress (former NFL running back), Robertsdale is full of big hearted individuals who love you for who you are, help one another in times of need, and catch up at the local grocery store. On any given day you may go to the grocery store and meet at least 3 folks that either wave, smile, or stop you to chat. Here, every Friday night, no matter winning or loosing, the town piles in at the Robertsdale High School football game. While R’Dale is still what we lovingly would call “old school”, it also appreciates and has embraced the idea of bringing new things to the small town. 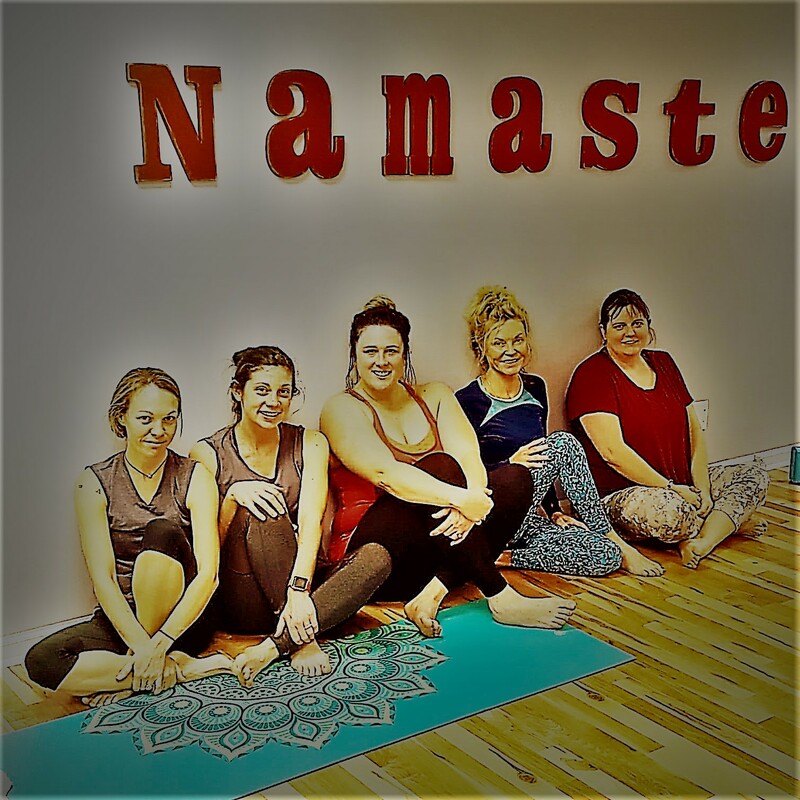 One great example is the Dale’s own Chassidy Griffith, owner of Awaken Yoga and Wellness. 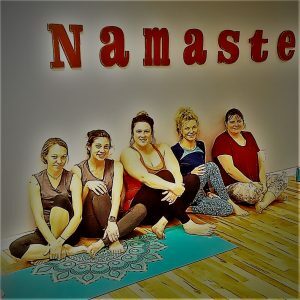 Most people hear Yoga and think that it’s for bigger cities and the suburbs of those bigger cities but Chassidy wanted to bring the benefits of this practice to her own small town of Robertsdale. These three individuals right here want to HELP you in your Life somehow and someway. Her partner, Rocky, a former Journeyman, who initially sought Yoga to resolve the aches and pains of physical labor, is now an instructor who wants to show other men that Yoga is not just for women. Chassidy and Rocky want everyone to know that Yoga is for ALL individuals from someone with pain or flexibility issues to learning stretching techniques that will help you or to someone just needing to detach themselves from the everyday hustle of life. Even the local student athletes like to come and participate in classes that help them stretch their bodies for less injuries. In Yoga, we learn how to be proud of yourself and your body, regardless of size, age or fitness. Everyone can practice yoga and it’s benefits are not limited to the physical. Practiced slowly, with intent, Yoga helps relax your mind and de-stress. Its poses also help you build strength and muscle leading to weight loss and many other positive benefits. Chassidy and Rocky’s clients range in age from 5 years old to 80 years old, and include men, women, farmers, business men, teachers, and stay at home moms. This studio really takes its small-town folks to heart and listens to their wants and needs. They are patient and understand that many have never practiced Yoga and understand also that it may take a while to figure it all out…that’s why they call it practice! I strive to live the same philosophy with my real estate clients. They teach a lot at Awaken Yoga, but more importantly they listen and carefully work with each client to help them achieve. Client reviews like ; “I have ended the class in tears of emotion and happiness,” and “this studio has taught me to let it all go, and to go with the tide and not against the current” tell part of the story. The rest of the story is pure Robertsdale; big hearted folks in a small town becoming yoga strong. Do you want to be a part of this Small Town with a Big Heart? Call me, Danna Saia, and I can help you make that happen!